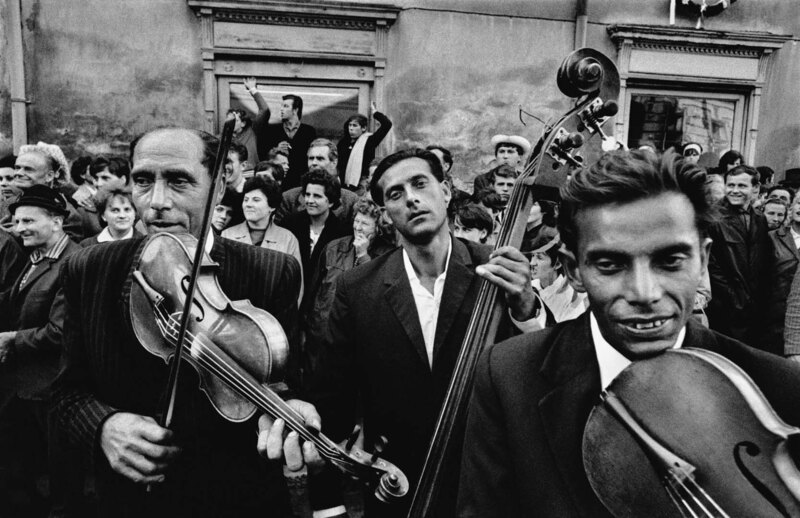 There’s something in Josef Koudelka that’s a mixture of humanity and mysticism, of strangeness and familiarity that gives each of his images, particularly the ones of gypsies, a memorial dimension that stays with you, like Robert Frank’s Americans. Koudelka’s prisoner walking toward his execution, invading the foreground with an air of resignation, reflects the growing individualism of contemporary society. In the background, the unmoving crowd balances the obliquity of the man condemned to death.